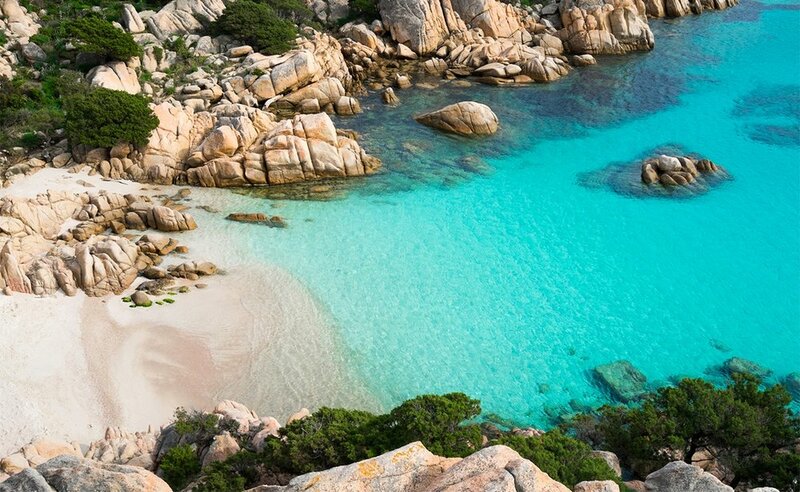 Costa Smeralda boasts some of Europe’s most sought after beaches, with hourglass-fine sand and turquoise waters, which rival those in the Caribbean. The Maddalena Archipelago is an extremely popular touristic spot due to its breathtaking beaches and engaging lifestyle. Among the islands stands Caprera (in the picture one of its beaches - Cala Coticcio), also known as the place where Garibaldi went in exile. The Maddalena Archipelago can be reached through a short boat trip, from the nearby town Palau. Sardinia - and Costa Smeralda specifically - is a coveted destination not only due to its distinctive sea colour and the breathtaking beaches, but also because of its signature "Bellavita" lifestyle which makes it the ideal place for anyone who likes to enjoy life to the fullest. It is not uncommon to stumble upon unique naturally sculpted rocks in Sardinia. In the picture - La Roccia dell’Orso, which takes the name from its resemblance to a bear, oversees the Maddalena Archipelago and is particularly close to our villas.